Jem answered each door with a cheerful “Happy Halloween … trick or treat!” and in calm fairy fashion took a treat for her bucket. 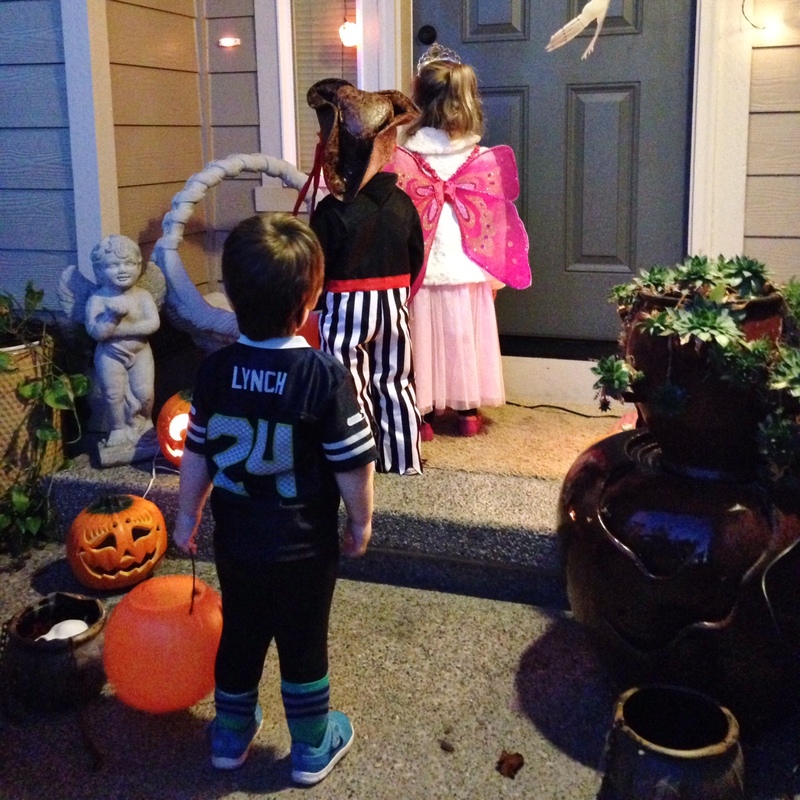 Max, on the other hand, yelled, “BOO!” grabbed two or three handfuls of candy and ran back to the wagon sweetly chanting “thank you thank you thank you”. Happy Halloween, ya’ll! I can’t believe tomorrow is NOVEMBER!